'It is like an earthquake hit:' a visit to what remains of the once-leisurely town of Khuzaa. With its spacious villas and palm-lined streets, the town of Khuzaa in southern Gaza gave Palestinians a rare place to spend their free time before it was bombed and shelled to rubble last month. Largely free of the local tensions and feuds found in other neighbourhoods, Khuzaa's green spaces were one of just a few destinations for daytrips in the crowded Gaza Strip, where 1.8 million people live in just 360 sq km (140 sq miles). Around 500 metres from the Israeli border, Khuzaa is now only accessible via cratered roads strewn with debris. Nearly all of its homes have been flattened and its nine mosques lie in pieces. "This was the best area in all of the Gaza Strip, it was a tourist area - secure and safe with no problems and good people," said Sami Qudih, head of Khuzaa's municipal council. "Khuzaa no longer exists, it is like an earthquake hit," he said in a makeshift office - a garage next to his destroyed family home. "We have no water, no electricity, I have been wearing these same clothes for ten days," he said, tugging his filthy flannel shirt. "I have no house, I have no Hamas, I have no jihad. I am a citizen, that is it and now I have nothing." Israel pulled its ground forces out of the Gaza Strip on Tuesday and started a 72-hour ceasefire with Hamas as a first step towards negotiations on ending the month-old war. In Khuzaa, people say at least 70 were killed and more bodies may lie beneath the rubble. It was a site of fierce fighting between Israeli forces, Hamas and other Palestinian militants, who said they detonated explosives and fired anti-tank rockets at Israeli troops. Israel says it urged residents to leave and seek shelter in nearby Khan Younis before the fighting in Khuzaa began. But residents have said many were not able to leave their houses in time and that some were fired on as they fled upon army's instructions. Citing residents, Human Rights Watch said on Monday Israeli forces fired on and killed civilians in the town between July 23 to 25, actions which it said if proven would be war crimes. A once affluent town in a fertile farming area, many of Khuzaa's residents owned land and property, unlike in other parts of the Gaza Strip where people rent or live in camps and temporary shelters. Now thousands of people from Khuzaa are living in aid shelters in schools and return only to check the damage or gather any belongings they can salvage. Some 260,000 people are sheltering in UN facilities in Gaza and human rights groups put the total number of displaced at 520,000. After fleeing the violence, Ahmed Awad Abu Salah, 39, returned with his wife Fariah to find their home mostly intact but ransacked and littered with tins of food with Hebrew labels they said were left behind by Israeli soldiers. They found children's clothes and books strewn across the floor, kitchen fittings hanging from the walls and the family's Koran in the toilet. 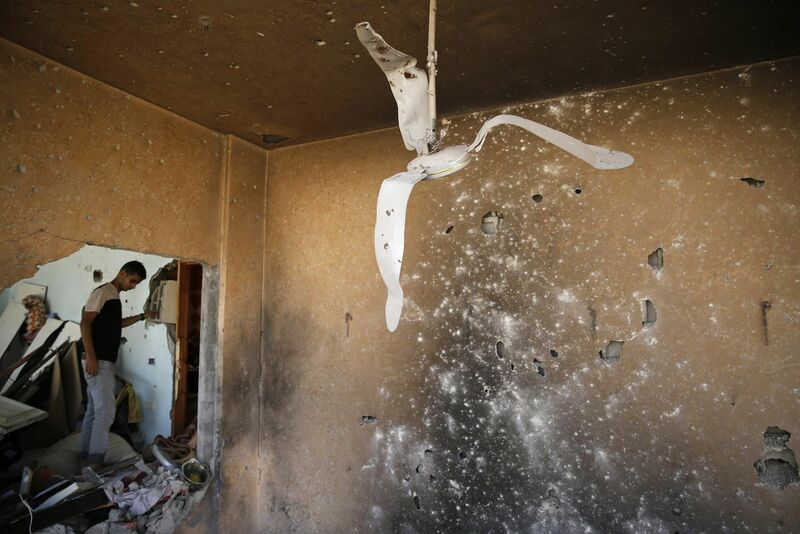 The walls of the once elegant living room are peppered with bullet holes. 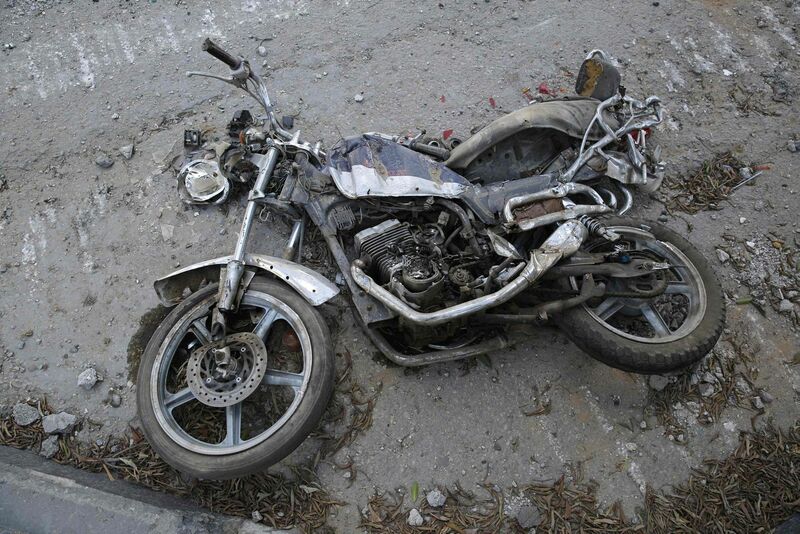 "This was once the beautiful garden, there was a fountain, a nice place," Ahmed said, pointing to a patch of grass covered in crumbing concrete and twisted metal. The date palms planted eight years ago lean at crazy angles. "Look - they destroyed them one by one," his wife said, pointing to mounds of debris where homes once stood. Israel has accused Hamas of causing hardship by launching rockets at its cities from Gaza neighbourhoods and using mosques and schools as arms depots, thereby drawing Israeli strikes. With nowhere else to go in Khuzaa, groups of men and boys perch on rubble under trees and cook tea and coffee on open fires. A woman stumbles across mounds of debris, holding a teapot lid she unearthed from the remains of her home. Children run around rotting trash, kicking up the dust. 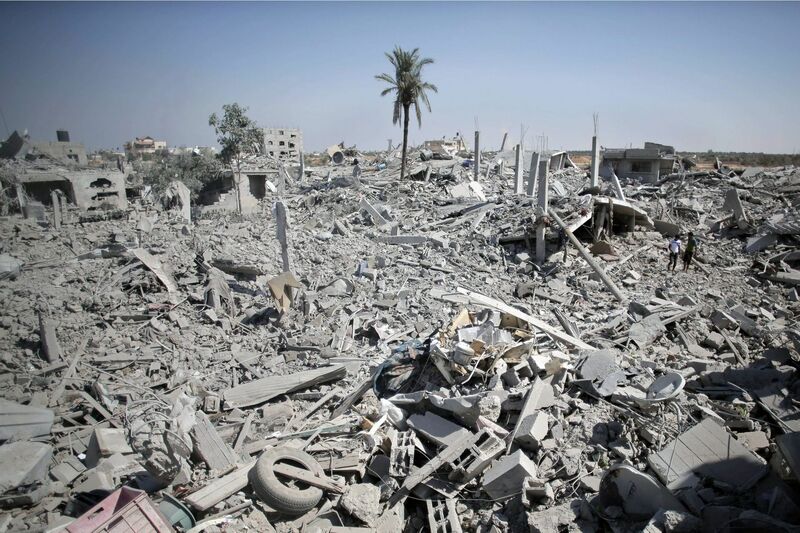 "This was the best town in all of Gaza, a wealthy area where people lived well together. Now I have no words to describe it," 54-year-old Mohammed Khalil Najjar said, his voice faltering. He pointed out his house across the road, a series of floors flattened together and leaning at an angle. He rebuilt the house in 2009 after it was one of the few badly damaged during that Gaza conflict. "I cannot build it again. That's it," he said. 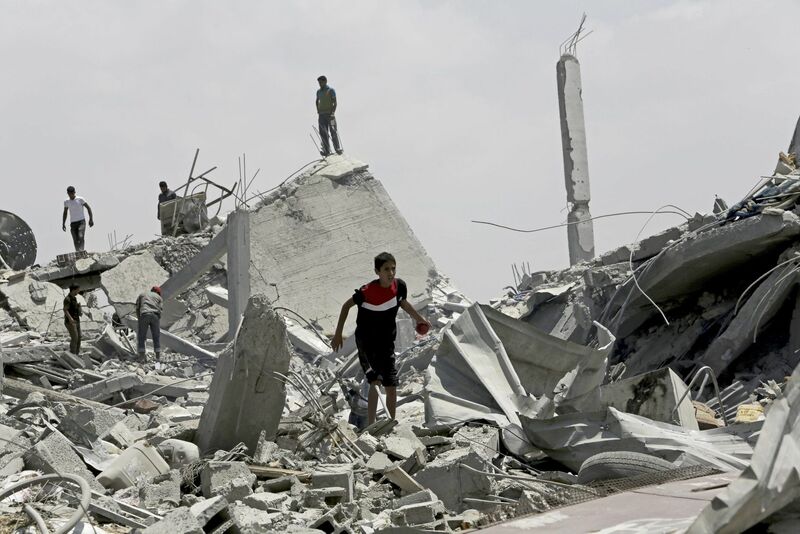 Gaza officials say it will cost around $6 billion to rebuild devastated infrastructure across the territory. Qudih, the head of Khuzaa's council, now spends his days driving around in a pickup truck, making sure roads are cleared and that people have water brought in from the next town. He smiles briefly when remembering the kind of town he used to run. "I have worked in many different places in this region and Khuzaa is different, it is beautiful and safe," he said, before correcting himself: "It was safe." Open the Erez border crossing, immediately! Here’s an urgent request for the Palestinian delegation in Cairo: Don’t let the Israelis pull the wool over your eyes and the whole world’s eyes with the arrangements to operate the Rafah border pass, the color of uniforms worn by Mahmoud Abbas’ soldiers, the number of units and the manner of their salute. At this point don’t insist on an airport and seaport in Gaza. Focus on rehabilitating the essential, natural, logical connection between the Gaza Strip and the West Bank. Insist that the free movement of Palestinians (not only a few senior officials and traders) between them is resumed immediately. This should be your main mission. Israel's establishment, commentators and most of its public see the demand to connect the Strip and West Bank as "ridiculous." This word embodies Israel’s aggressive arrogance. Egypt is justly afraid of Israel’s intention to push the Strip and its residents and problems back to it. Take advantage of that fear. This is what Israel has been striving toward since 1990 — to create Palestinian enclaves, isolate them and turn the Strip into a separate political entity. Israel’s success has so far appeared considerable, aided by the sectarian selfishness of the Palestinian organizations. The Palestinian leaderships have neglected the basic demand to respect the right for freedom of movement. The Palestinian Authority’s senior officials made do with the privileges that enabled them to go through the Erez checkpoint. The leaders of the political-religious movement forgot the Erez checkpoint and the West Bank because they knew they wouldn’t get permits, and if they did, they’d be arrested. The reconciliation government that was formed in Abbas’ image — bereft of inspiration and voluntarily paralyzed — nonetheless shows that Israel’s success in the separation has cracked. The rupture between the Strip and the West Bank is revocable. This is the idea that must direct you in Cairo and guide all the Palestinians and those who oppose the occupation. Did anyone believe any Palestinian organization could plan a military campaign that would so confuse the No. 1 drone exporter? Who imagined that a Palestinian organization could learn from its mistakes in 2008-2009 and defy Israel's military power? All your military surprises, Hamas, are worthless unless they are converted to a change in your civilian thinking. You rediscovered the West Bank after your channels to Egypt were blocked. So you fled to the reconciliation government. Israel’s wholesale killing of Gaza residents returned them to the awareness of the PLO and West Bank Palestinians. This is the moment to demand: Open the Erez Crossing. Israel will, as usual, scream "SOS security." Let it scream. There cannot be security for Israelis as long as they do not recognize Palestinians' right to life, and to live in dignity. PLO delegates, Hamas and Islamic Jihad representatives: Rectify the criminal negligence that characterized your treatment of Gaza residents. Demand that the world pay the bill for its declarations. Pull out all the World Bank, IMF and EU reports. There's no rebuilding the Palestinian economy, no rebuilding of Gaza — no life at all — unless people and merchandise can move freely. This includes exports from Gaza, studying in universities, praying in Al-Aqsa and eating hummus in the Old City. It includes a trip from Nablus to the Beit Lahia beach. The Gaza Strip will cease to be a large concentration camp only when it and the West Bank are again an hour’s drive apart, 32 shekels there and back, with a discount for children and large families.